Basically im wondering if someone with a drum brake foot pedal could show me how theyre linkage sets up? Can the arm on the drum be pushed and or pulled to achieve proper braking? Rod pushing forward or rod pushing towards the rear? The drum brake leveler has to be pulled. The normal way is to pull. Pushing with a skinny rod is going to fail miserably. It will just bend. I do the drum to disk way on my Project bike. Have to cut, adjust and weld the drum pull rod levler angle of the foot brake levler for the rear disk MC. 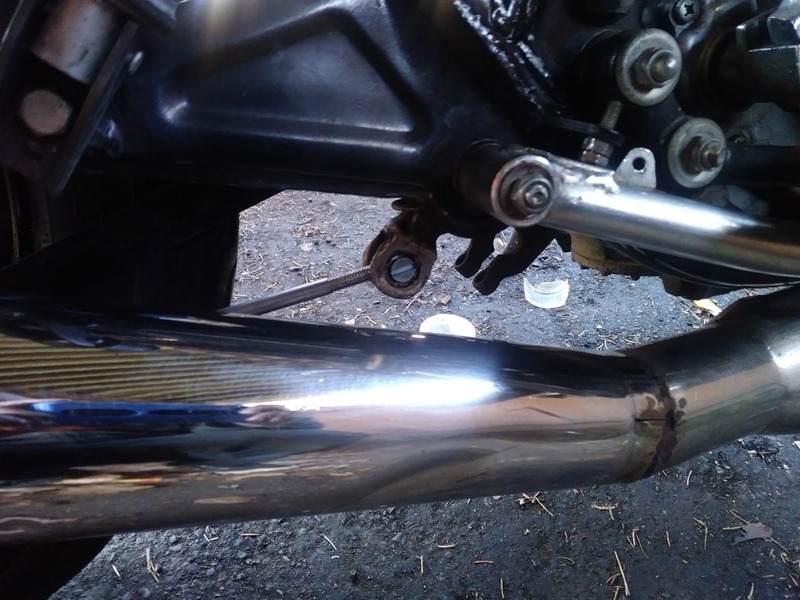 Any pics of your rear brake Setup would be helpfull. Here is my rear drum brake leveler Setup before i converted into disk brake. It´s the same stock brake leveler before i have to modify the angle. The brake pedal is attached to a brake pedal shaft. I would install the brake pedal shaft, spring & other stuff from a 650B. As previously noted in your other drum brake topic, the 650B & SR have the same brake pedal, and from comparing their frames on EB, it looks like the pedal is attached in the same location, so it seems like a stock type conversion would be possible. for safety. Scriocco, why did you swap to disc? It's been my experience a drum rear brake actually is a more effective brake than a disc. Here is a picture of my current set up. Here is the stock drum pedal. Looks like the brake pedal shaft (9) can be rotated. 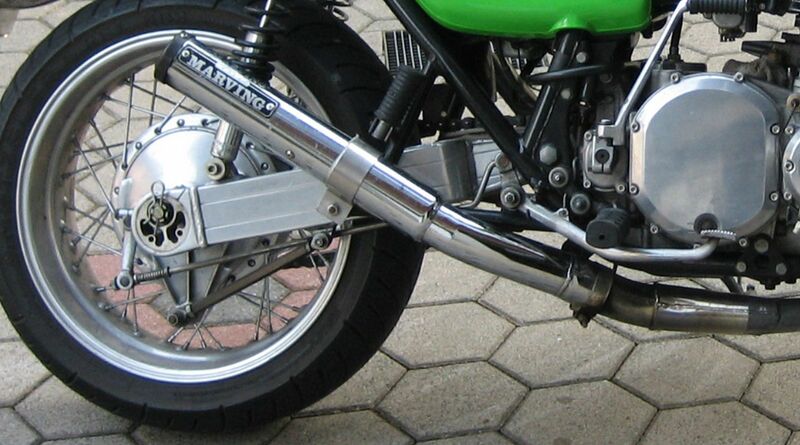 What swing arm is it? And what rear wheel & brake panel assy? It might help to mention exactly all the drum related parts that have been installed. including wheel spacers. There are a million 650 pics on the internet. do a search. that conversion is rarely done, so almost nobody can say if it can be done w SR parts. if it's not working, get the drum parts.